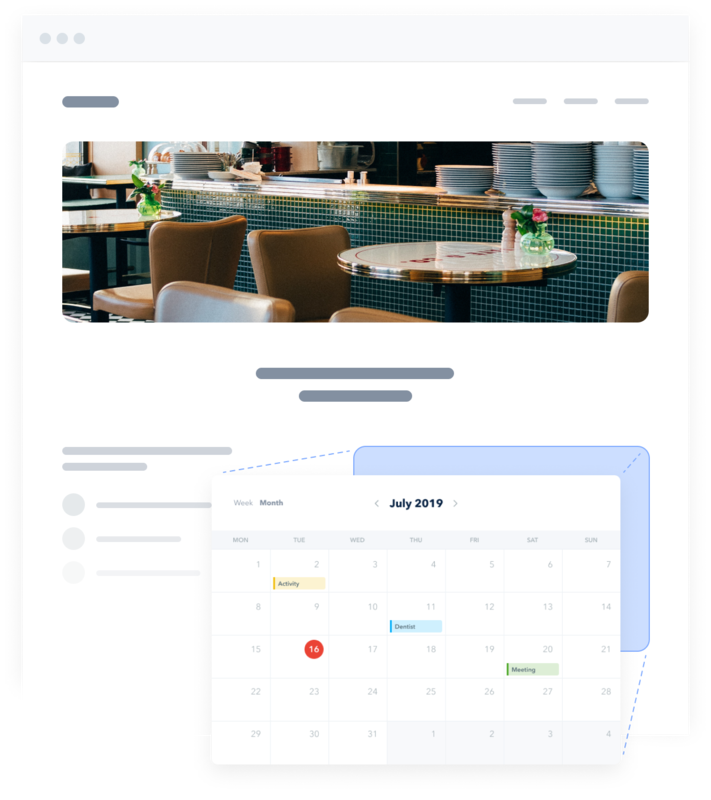 Booking - GoSite | The #1 Web Platform for Your Business. 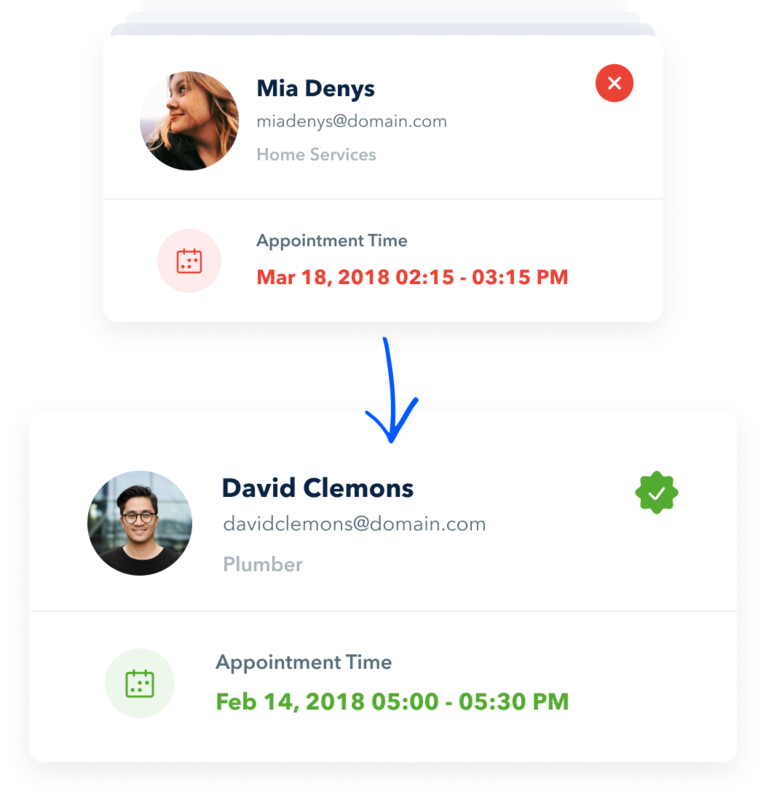 Provide a modern and easy way for customers to book your services. 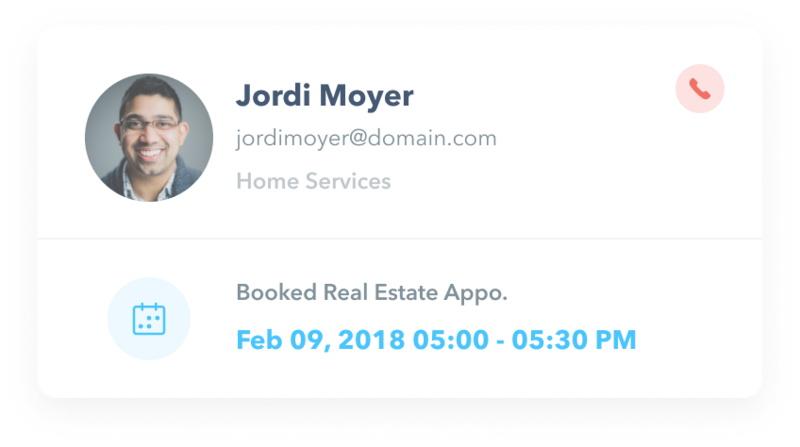 Increase new bookings, revenue, and happier customers using online booking. Add booking with 1-click to your website, Google, Facebook, and popular apps & maps. 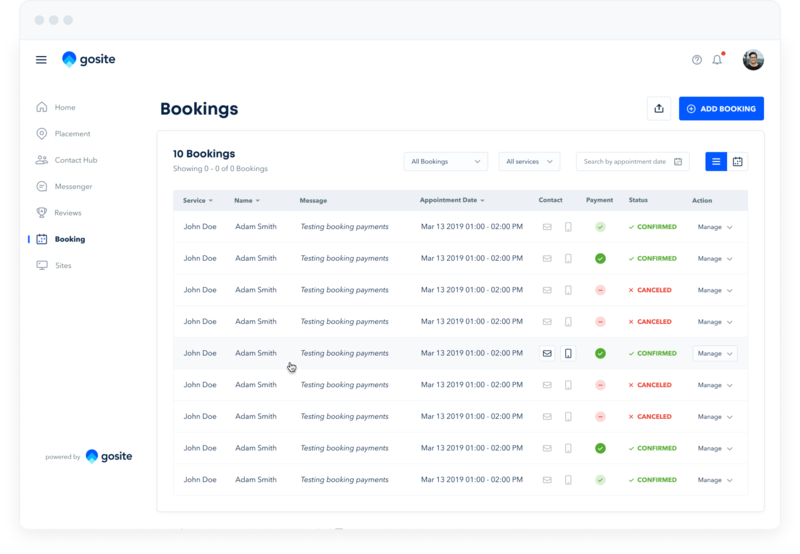 Your complete online booking software solution, fully customizable to fit around your business, services, and processes. 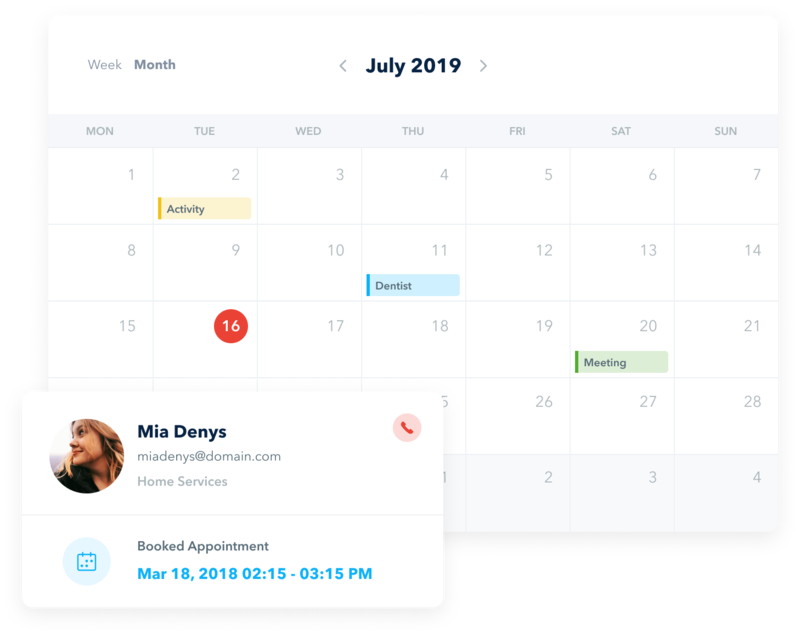 Online booking software to keep your calendar full and your day efficient. Take advantage of pre-determined service availability slots, buffer times, and multiple services & staff calendar modes. 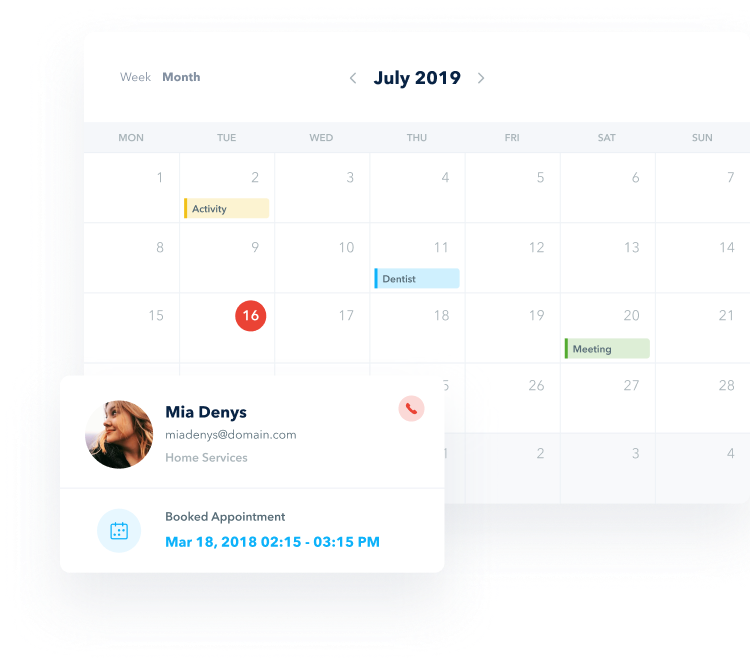 Kiss all of your scheduling headaches goodbye. 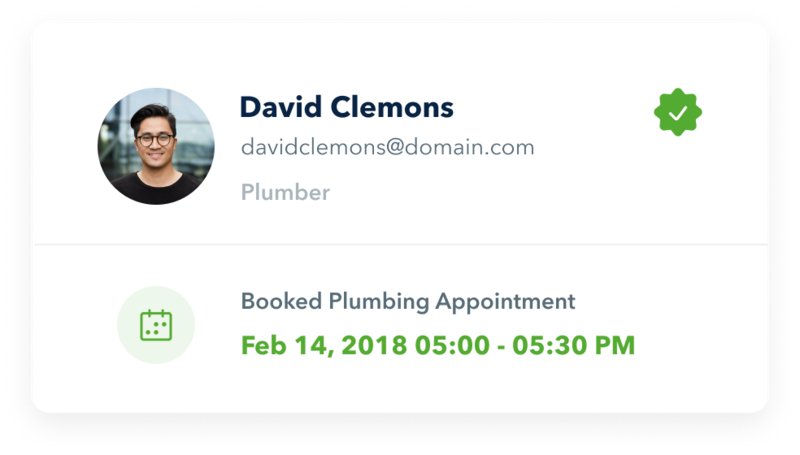 Full scheduling, rescheduling, cancellations, and booking reminders, all done automatically and behind the scenes, so you can focus on the things that matter. 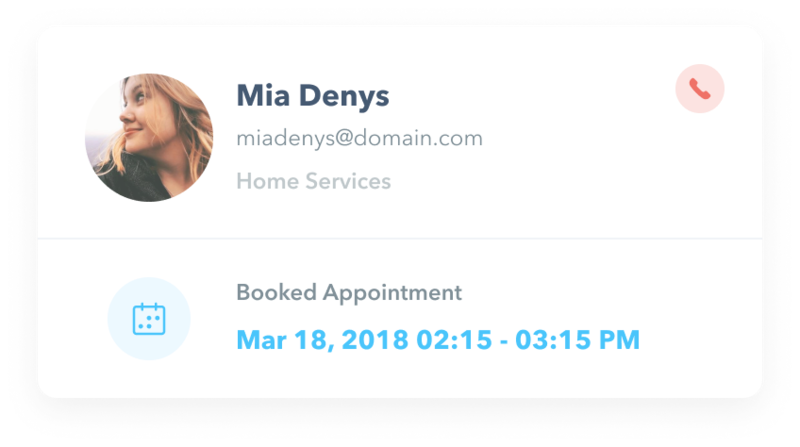 Easily embed your complete online booking software into your website.